Fire Station 3 in Middleburg had an extensive rebuild completed in May of 2013. This photograph was taken in June of 2014. One of two 2013 Pierce Arrow XT's delivered to Loudoun County (the other was assigned to Engine 610 in Lucketts). 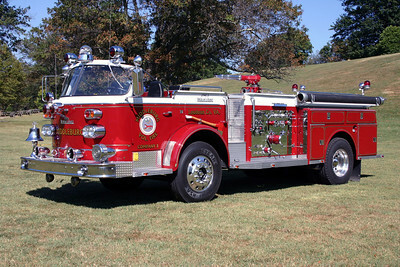 This Pierce was displayed at the annual Virginia Fire Chief's convention in Virginia Beach in May of 2014. 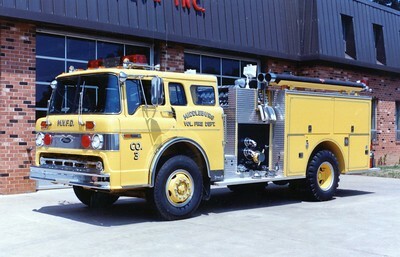 Except at that time, it was marked as Engine 687 and plans were to have this as a reserve engine for the county. 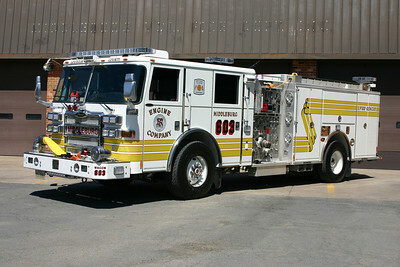 Those plans changed and the Pierce was re-marked to Engine 603 and assigned to Middleburg. 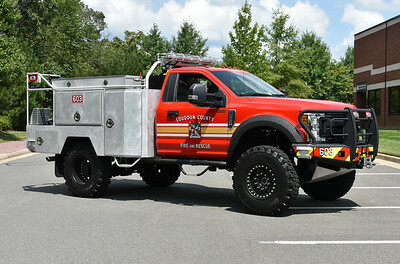 It is equipped with a 1500/750/30 and photographed in the parking lot of Station 3 in Middleburg in June of 2014. 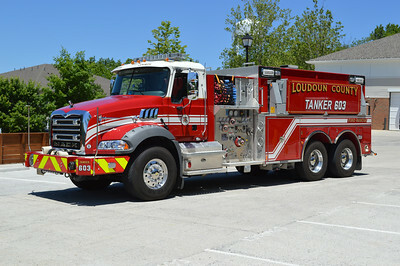 In May of 2015, Loudoun County transferred Tanker 618 to Station 3 in Middleburg when the volunteer organization at Middleburg dissolved. 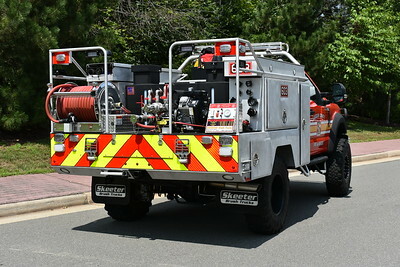 Most of the volunteer apparatus was sold, including their tanker. 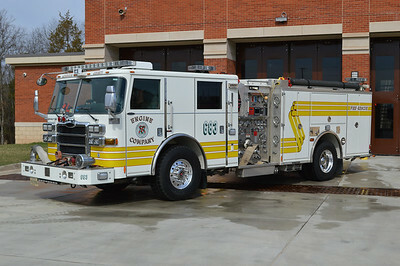 As a result, the 2012 Mack Granite/Pierce 1500/3000 from Station 18 in Sterling transferred to Station 3. 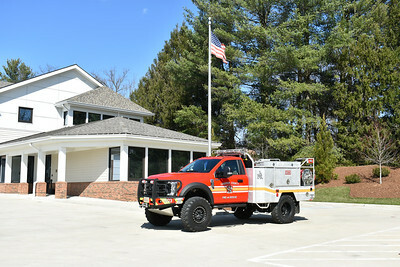 Loudoun County, Virginia Brush 603 assigned to Middleburg. It is a 2017 Ford F550 4x4/Skeeter and equipped with a 240/250/10A. Serial number 14310. 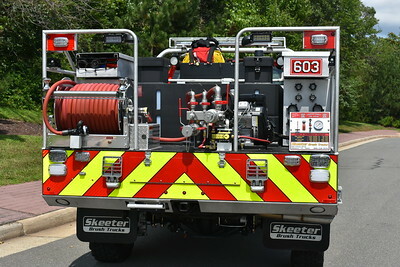 An officer side view of Brush 603. This Ford has a 6" lift kit. Back end view of Brush 603 - 2017 Ford F550/Skeeter 240/250/10A. Medic 603 of Middleburg is this 2014 Ford F450/Horton. 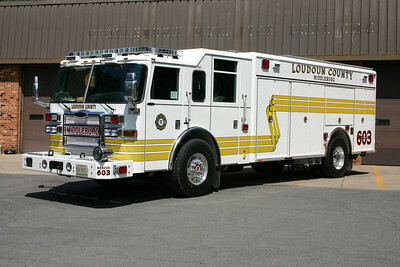 It is one of three purchased by Loudoun County (the others went to 604B and 610). 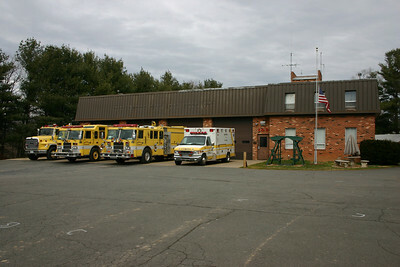 Middleburg Station 3, as photographed in 2007. Wagon 603, a 2008 Pierce Dash 1500/750/50. This engine became a county reserve engine in 2014 when a new Pierce county engine was assigned to Station 3. 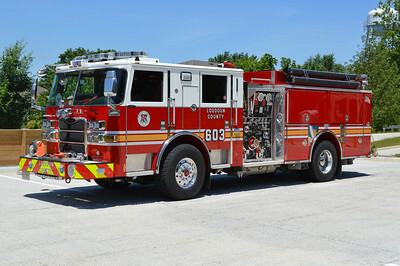 Engine 603 from Middleburg had some rehab work completed on it in 2009. It is a 1998 Pierce Saber with several local companies completing the rehab (body, paint, etc.). 1250/1000. Sold in May of 2015 when the volunteer program in Middleburg dissolved. 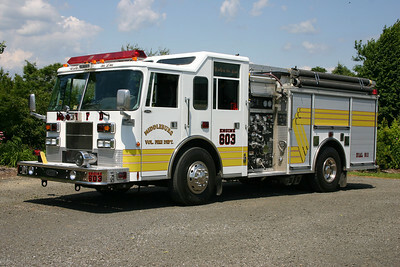 Engine 603 prior to the rehab work in 2009 - a 1998 Pierce Saber 1250/1000. Dual Roto-Ray's on the old Wagon 3, a 1992 Pierce Lance 1250/1000/60. 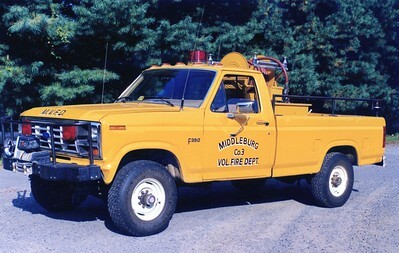 This was Middleburg's first four door engine. 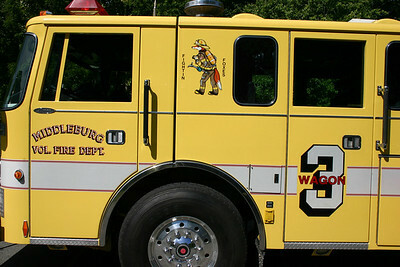 Wagon 3 was sold in 2009 and is now in service at the Crow Mountain VFD in Russellville, Arkansas. 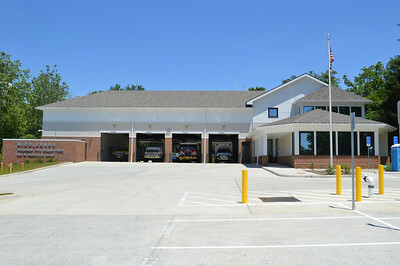 Middleburg Station 3, the "Fightin Foxes". 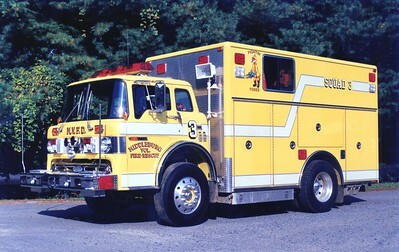 Photo is of old Wagon 3, a 1992 Pierce Lance. Former Wagon 3, a 1980 Ford C/Pierce, 1000/750. Sold to Greenwood, Alabama, in 1998. 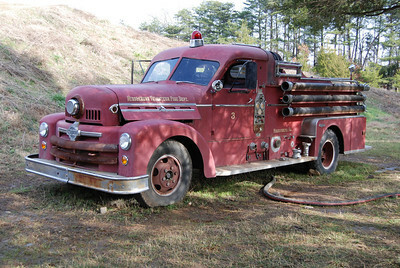 Quite a history on this American LaFrance, once run by Middleburg. It was originally ordered by Annandale, Virginia (Fairfax County) in 1963 and purchased by Middleburg in the late 1970's/early 1980's. 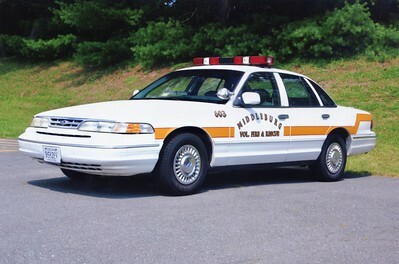 From Middleburg, it was sold to the Rouss Fire Company in Winchester where it was painted in their traditional green and white and ran as "Squad 2". From Rouss, it was sold to Clover Hill, Virginia and kept its green and white paint. 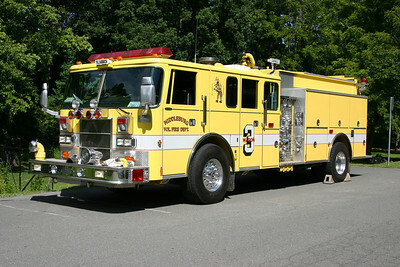 It was purchased by a private individual who had the truck extensively rehabed, repainted and re-lettered to Middleburg. Photographed at the 2010 Old Dominion Historical Fire Society Waynesboro, VA meeting and muster. 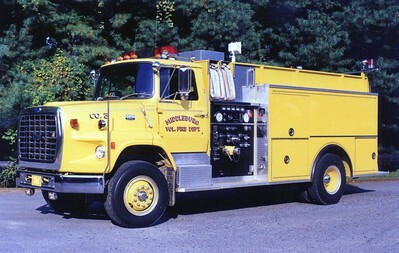 The officer side of Middleburg's old 1963 American LaFrance. 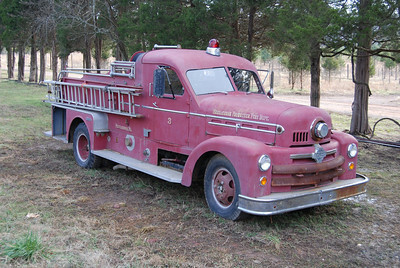 Based on a 'lead" from Facebook, I found Middleburg's old 1954 Seagrave 500-B 1000/500 on a farm in Chantilly, Virginia. It is my understanding that the Seagrave has been at the Ticonderoga Farms since 1997 and still runs, although it needs some mechanical work. Although I have an older photograph of this Middleburg Seagrave from another collector, it was exciting finding the truck and seeing it "live". 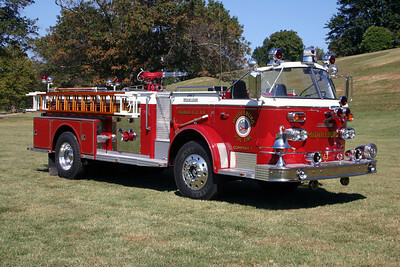 The drivers side of Middleburg's 1954 Seagrave now at Ticonderoga Farms. Tanker 603 was this large 2006 Sterling LT9500/Pierce equipped with a 1000/3500. Sold in May of 2015 when the volunteer program in Middleburg dissolved. 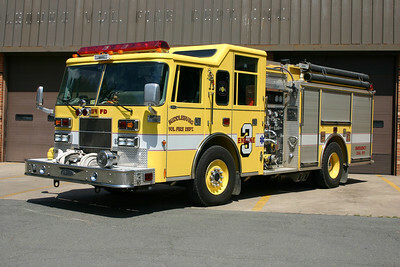 Former Tanker 3, a 1986 Ford L8000/Pierce, 400/1500, sn- E3301. Old Rescue 603 was a 2007 Pierce Dash. Rescue company services discontinued in Middleburg in 2009 and this squad was moved to run as Rescue 607 in Aldie, where it was re-striped to red. 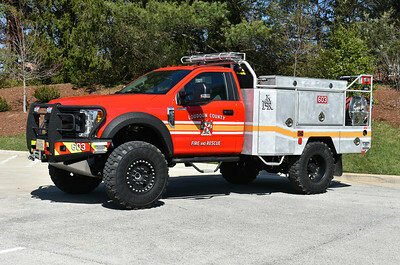 With the arrival of the new Rescue 607, this unit became Rescue 680, the County reserve. 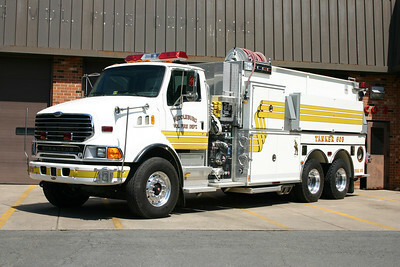 Former Squad 3, a 1990 Ford C/Pierce, sn- E5706. Brush 603 went through some drastic changes when rebuilt in 2009. Originally equipped with a Royal Sport/Singer 150/225 brush body (pick up style), it proved to be quite heavy. 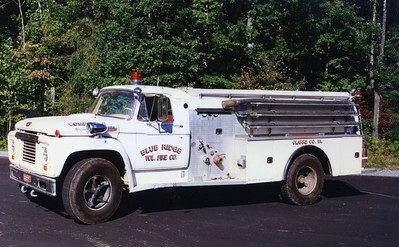 In 2009, Keplinger Repair rehabed the brush truck. 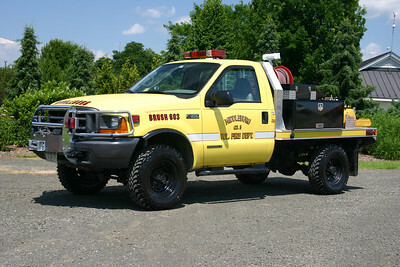 The official stats are a 2000 Ford F350/2009 Keplinger 150/150/5 with a flat bed. Sold in May of 2015 when the volunteer program in Middleburg dissolved. Brush 3 from Middleburg as it appeared before the rehab work and shortly after entering service and freshly back from an outside fire. 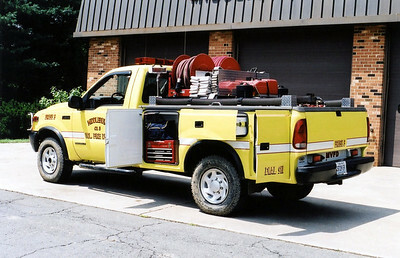 Body side compartments on a Ford F brush truck was an unusual set up. 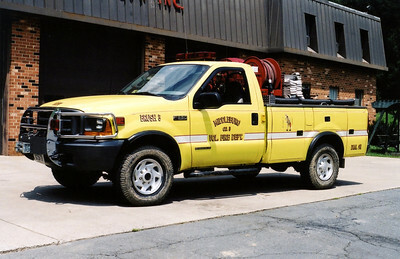 Former Brush 3, a 1985 Ford F-350/Clear Brook Welding, 225/150. 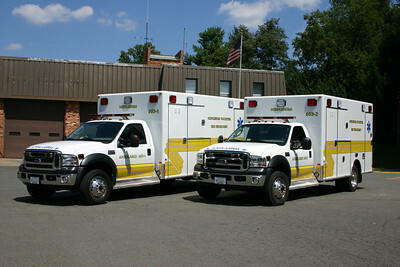 Two identical 2006 Ford F450/2007 Excellance ambulance/medic units run as 603-1 and 603-2. 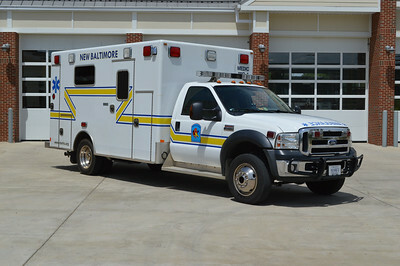 One of the ambulances was sold in May of 2015 to New Baltimore, VA when the volunteer program in Middleburg dissolved. 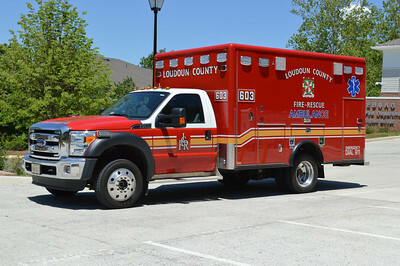 Medic 1101-1 is this 2006 Ford F-450/Excellance that the department received in 2015. ex-Middleburg, Virginia (Loudoun County) Ambulance 603-1. 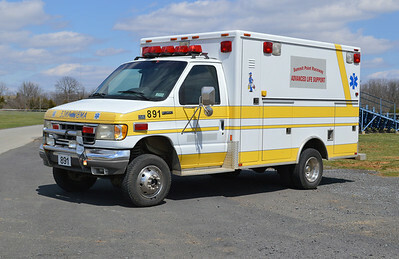 Former Ambulance 3-2, a 1995 Ford E-350/Ashley. Ambulance 891 is a 1995 Ford E-350/Ashley. 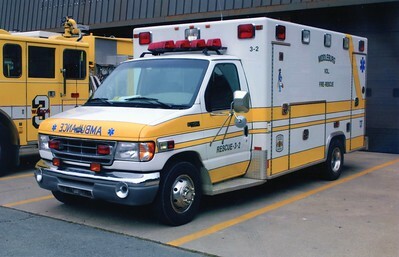 ex - Middleburg, Virginia (Loudoun County) Ambulance 3.